Photos courtesy of Henry DiRocco/SCR. 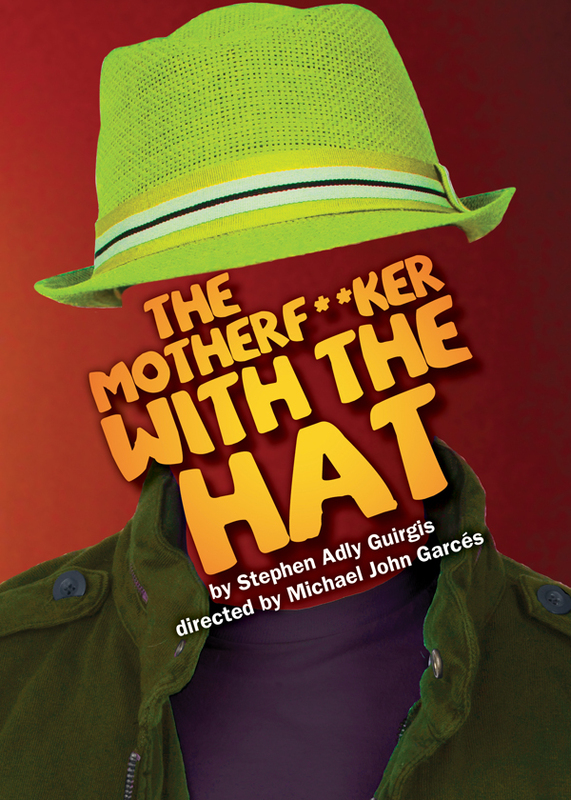 Throughout Stephen Adly Guirgis' gripping "The Motherf**ker With The Hat", directed by Michael John Garces for South Coast Repertory Theatre, the stage rotates to reveal cross-section views of several rooms, several lives. 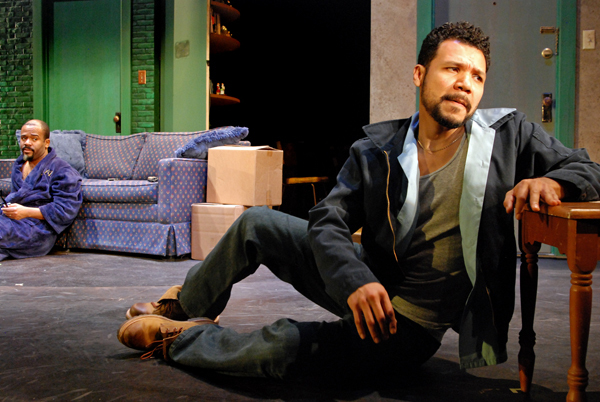 It's a perfect soap opera metaphor for the human condition of addiction: As The World Turns. Guirgis knows the fragile remorse of recovering addicts. The edginess, the drama, the dry drunk calm before an inevitable storm, it's all there in the person of Jackie (Tony Sancho). Recently released from a two-year prison stint, he wants to stay sober, to rekindle his romance with Veronica (Elisa Bocanegra), and get his life on track. 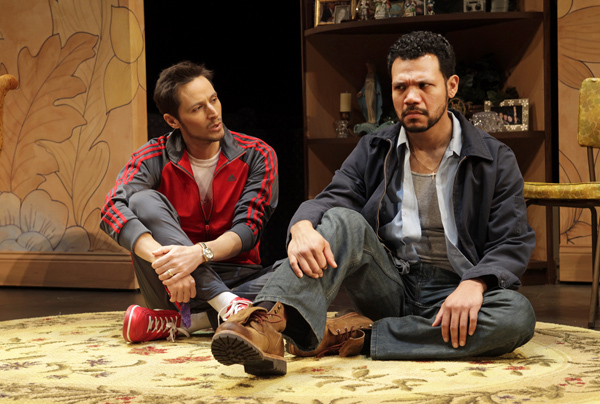 He has a cousin, Julio (Christian Barillas), with whom he's making amends, a sponsor, Ralph D. (Larry Bates), who's married, unhappily, to Victoria (Cristina Frias). 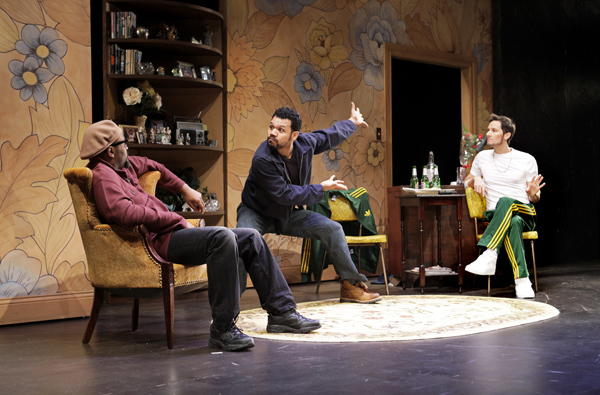 Things derail (infidelity, betrayal: the motherf**ker with the hat) and Jackie has to learn and re-learn that sobriety may equate to an absence of drinking but it doesn't ensure saintly behavior. 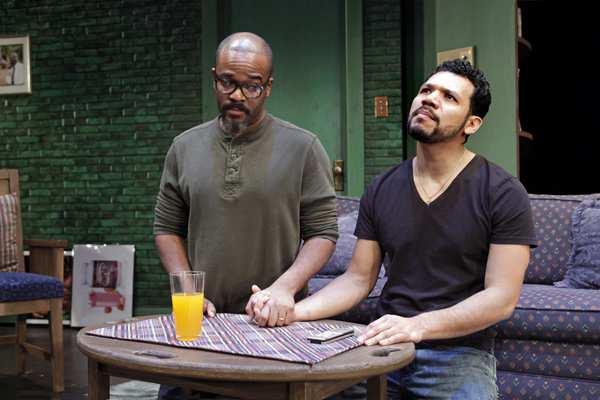 The production is as funny and tender as it is serious and violent. The dialogue is pyrotechnic (Think Junot Diaz), the plot is fraught with all manner of diversions on the path to a new life. It's an inspiring story of fortitude and resilience, of overcoming personal demons and the messes those demons have heaped on those around him. Nothing's tidy, to say the least. It's framed as a gritty Spanish Harlem love story. For 100 intermissionless minutes we sit on the edge of our seats, hoping for a positive outcome. It doesn't end the way we perhaps wish it would, but, by that time, we know, for Jackie, as it was for Scarlett O'Hara, tomorrow's another day. It's easy to get engaged: the performers, variously, are charismatic, passionate, trying to lead a straight life. We're fully invested from the first minute. 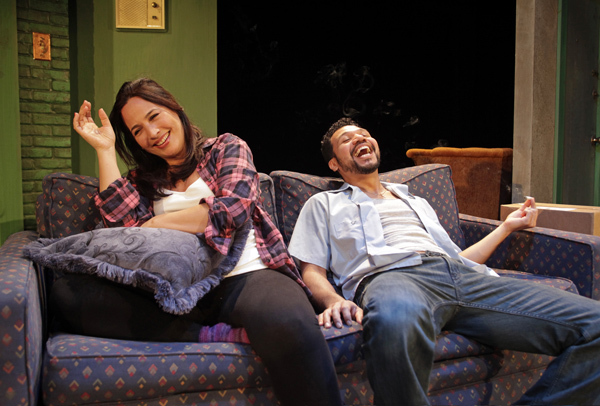 Sancho's Jackie is impassioned, effusive, and buoyant. We root from him because he wears his heart on his sleeve, his intentions are laudable, and his face and voice embody hope. He articulates life on a high wire. He brings the same manic energy to romance as he did to his prior life: lash out, fight on, live each day as if it's your last. Bocanegra, Bates, Frias, and Barillas form the safety net for Jackie's high wire act. Bates' Ralph D. may be a dutiful as sponsor but he's a stinking friend. He's reflective, eloquent, oratorical, hell, biblical, even. He's water off a duck's back indifferent to his awful marriage. That booming, confident voice seems to say, "Listen to what I say, for it's the gospel truth," and then he goes and acts like a first class wanker, as if his tomorrow's another day philosophy absolves him from what today's misdeeds. Bocanegra's Veronica is cocksure, streetwise, and mercurial, the coke to Sancho's rum. She's sensual, realistic, and, like Popeye the Sailor Man, "she is what she is." All this makes her prior devotion to Jackie all the more captivating, so whatever landed him in the hoosegow for two years must have been a whopper for her to lose faith in him. Frias' Victoria is a sulker, a desperate housewife, who's all too aware of the heights (a booming career, a six figure salary, a hot bod) from which she plunged after she married her cad of a husband, Ralph D.
And Barillas' Cousin Julio is lighter than air, seemingly disconnected from the fray that surrounds him. He's hilarious when he pouts, he's meticulous, not a little self-righteous (though not as much as Bates' Ralph D.), and the perfect foil for his beleaguered cousin. The production presents an ongoing saga of life and death, as the protagonist continues (and will continue) to reinvent himself day by day by day. We walk away realizing that recovery (for addicts) and redemption (for everyone else) is never easy and that it never consists of a one-time fix. There will always be temptations and steps-backward and the question is, do you have the resolution and the will to keep pressing forward? Performances are 7:45, Tuesday - Saturday, 2pm, Saturday and Sunday. The production runs until January 27. Tickets are $20 - $70. The Theatre is located at 655 Town Center Drive, Costa Mesa. For more information, call (714) 708-5500 or visit www.scr.org.